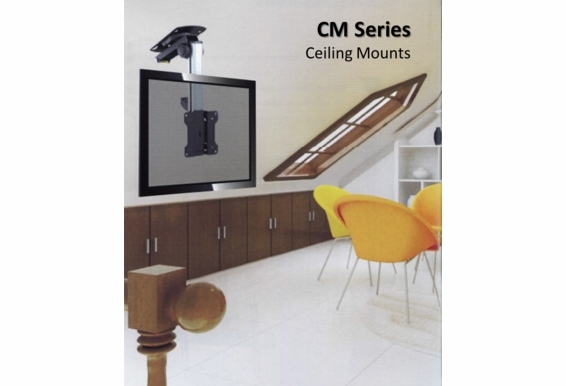 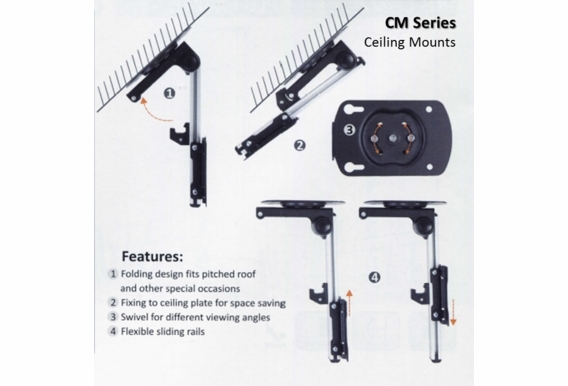 Simple, effective and affordable, this Swivel Ceiling TV Mount (TSM-CM-211) fits television sizes between 13 and 27 inches. 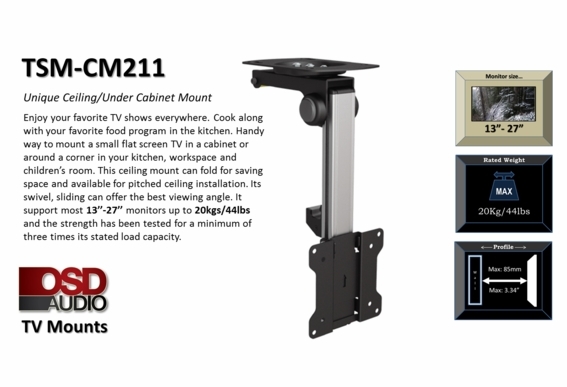 It's great for kitchens, garages, and any other area where you could use a little televised entertainment. 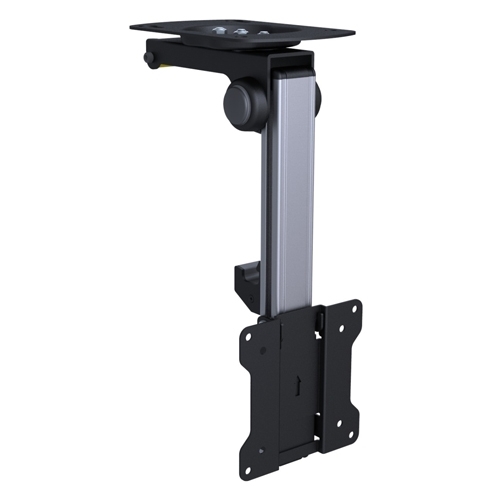 You can also use it in a doctor's or dentist's office, a waiting room or elsewhere (it can be installed anywhere a relatively flat horizontal space is available). 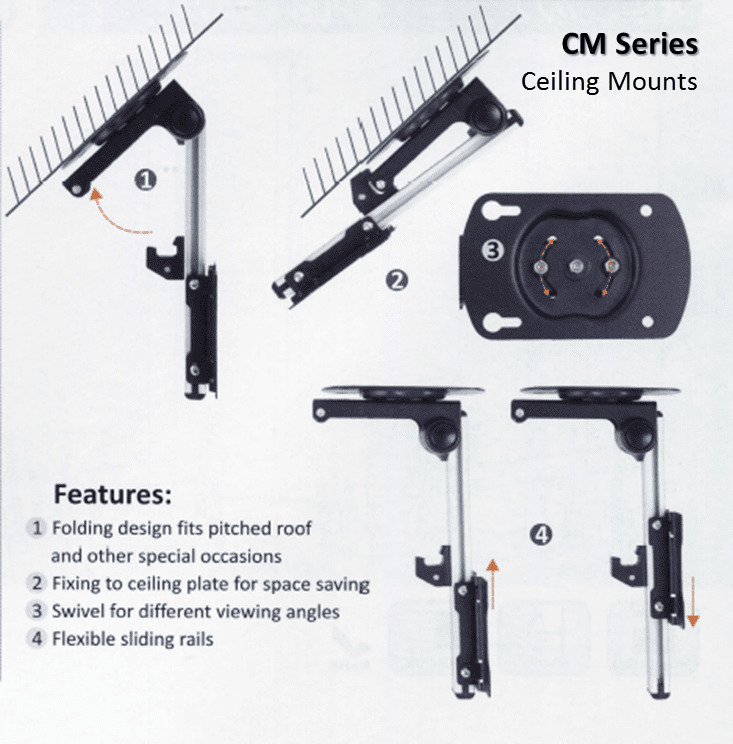 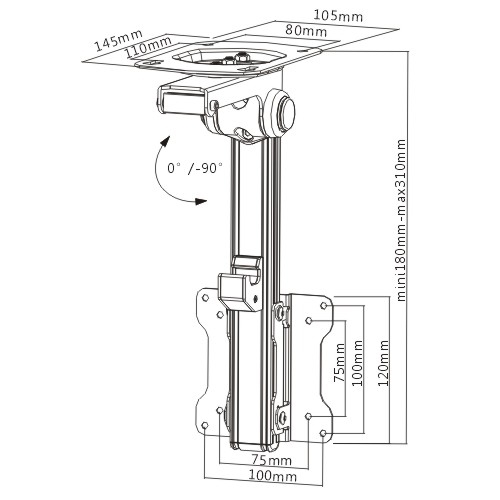 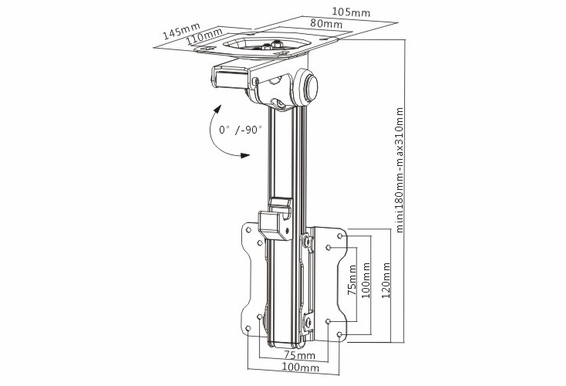 This TV mount weighs 17.6 pounds, which means it's lightweight enough to mount on ceiling but remember that you'll need to verify that the mounting surface, ceiling or wall will safely support the weight of all attached equipment and hardware. 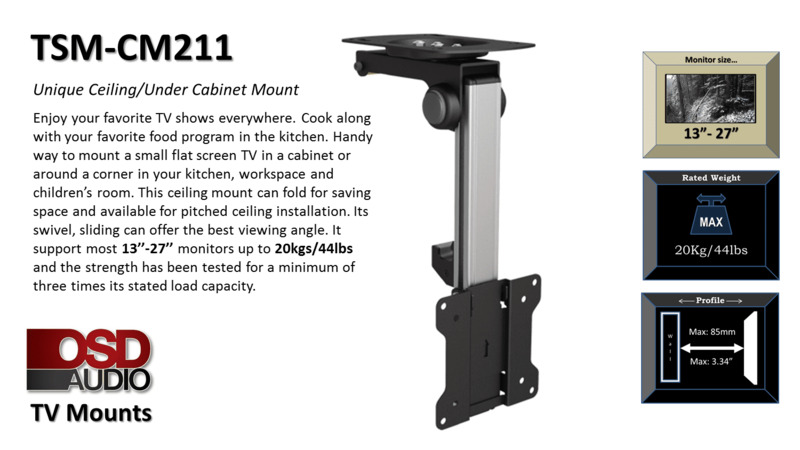 The Swivel Under-Cabinet TV Mount comes with a limited lifetime warranty from the manufacturer. 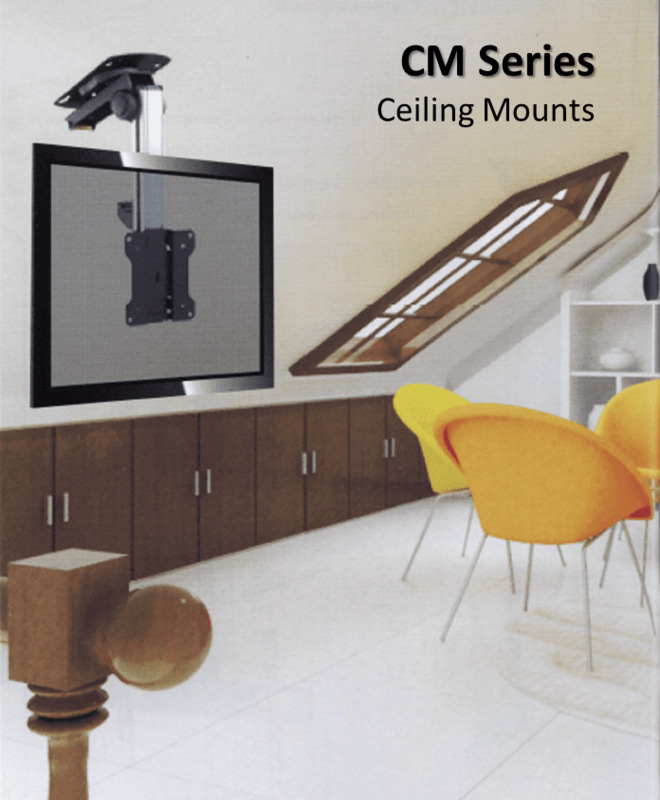 It's made from tough, durable materials and includes all the mounting hardware you will need to affix it to your ceiling. 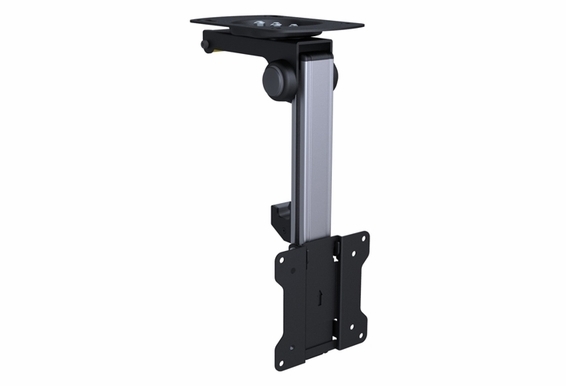 It's easy to install and will enable you to enjoy watching TV in nearly any space.